Google Reader has one foot in the grave, and some believe this signals the death of RSS. But does this mean the end of RSS for ecommerce? If you aren’t familiar with RSS, this video explains it “in plain English.” Essentially, RSS is a way to syndicate content like blog posts, video or new product listings (though not the only format for syndication). A content publisher makes a feed of this content available for consumption through an RSS reader, email, widget or other application that can turn it into a friendly format. Netflix offers public and private RSS feeds. 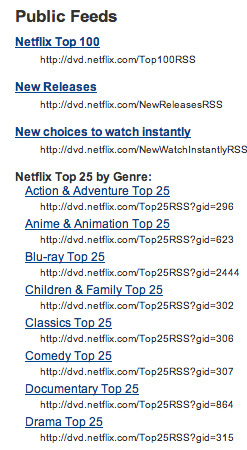 Members can personalize suggested content within their account, or subscribe to public feeds such as top 25 by genre. 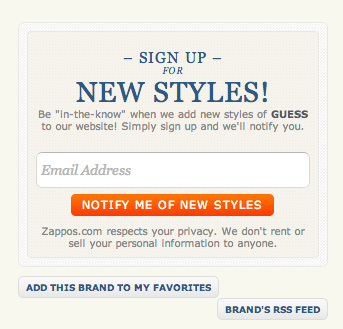 Though it’s not obvious, Zappos offers their geek-savvy customers the option of subscribing to a brand’s new listings by RSS in addition to email notifications from brand category pages. 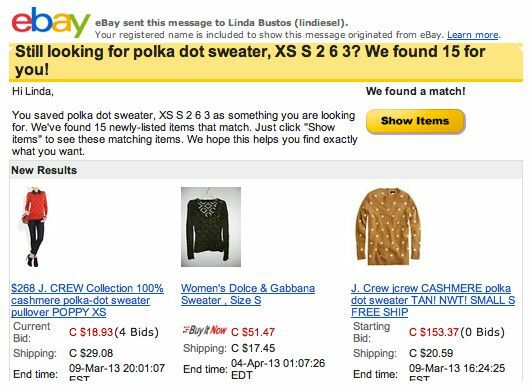 Ebay has long enabled users to save their search terms and opt into daily email summaries of new listings. 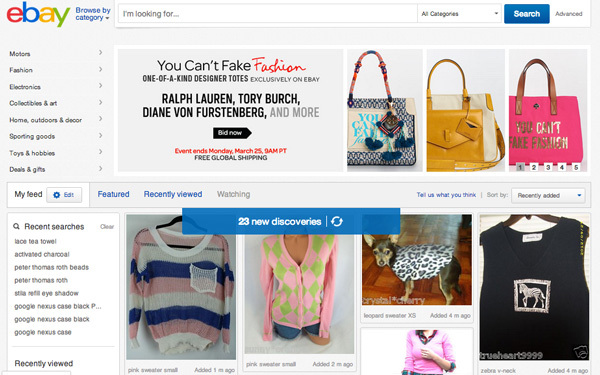 Recently, Ebay redesigned its US home page to include saved searches in a Pinterest-style, personalized feed that updates in real time. While the general population may not “get” RSS, they certainly are familiar with the idea of following feeds, thanks to Facebook, Twitter and their social cousins. 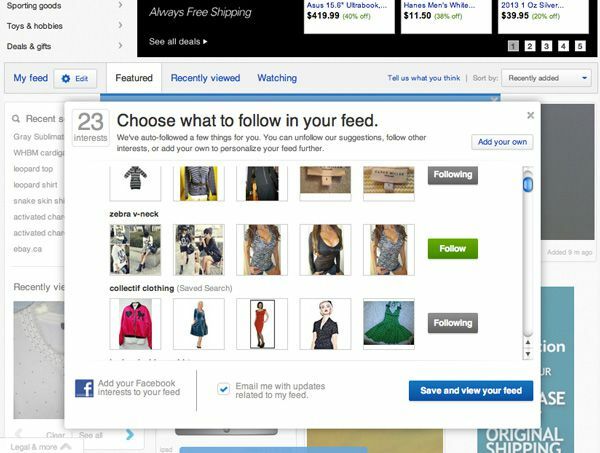 Ebay suggests similar feeds to follow (based on saved searches), and enables users to connect with Facebook to import interests from profile information. Developers can also pull Netflix’ public RSS feeds to power apps like Instantwatcher, which alerts users to expiring Netflix titles, among other tools. Ebay uses RSS feeds for affiliates, who can create a customized feed of new products that fit a set of Advanced Search criteria. Web users are much more familiar with the concept of following micro-streams of content a-la-Twitter than subscribing via RSS. With Google Reader’s exit, even the geekerati will be hard pressed to subscribe to ecommerce feeds, though there’s opportunity to continue to offer RSS updates through Zite, Feedly and similar apps for sites where RSS is a popular feature. RSS still has value for on-site personalization like Netflix, where members can use it to tailor content they see when logged into a site. 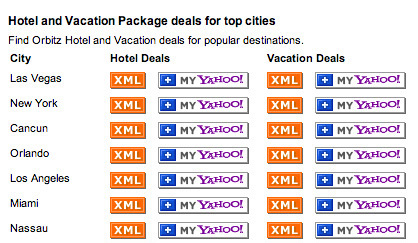 But the question is, should you use RSS or an API to build this functionality? Though RSS feeds may be delivered as part of an API, RSS is used to push fixed content updates, such as new product additions, daily deals or latest product reviews. If your feature requires more interaction by the user other than subscribe and watch the content updates roll in, or if you want to slice or mash up your content beyond what RSS can do (including integrating with Facebook Connect), and API is your better option. RSS or API for developers and affiliates? Developers are a different breed than your typical non-technical consumer, and offering them standard RSS (alone or as part of an API) enables them to pull your data without having to write any code themselves. But again, RSS has its limitations, and if it’s important for you to offer developers such as affiliates a way to create more complex features with your data feeds, consider an API. Our stats show the bulk of Get Elastic RSS subscribers use Reader, and we would love to keep connected with you after Google Reader shutters. If you’re looking for a worthy substitute, check out Econsultancy’s 40+ alternatives to Google Reader. 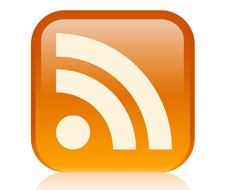 If you’ve found an alternative you love, please share your RSS reader suggestion in the comments.